A federal appeals court on Tuesday overturned a lower judge's decision that had allowed a suburb of Birmingham, Alabama, to secede from the local school district, saying the plan's express purpose was to exclude black children. A three-judge panel of the 11th U.S. Circuit Court of Appeals found that U.S. District Judge Madeline Haikala overstepped her authority when she ruled last April that the town of Gardendale, a predominantly white suburb of 14,000 people north of Birmingham, could secede from the racially mixed Jefferson County Public Schools and start its own system. The appeals panel noted that Haikala herself concluded that the plan was created "with a discriminatory purpose" but approved it anyway, imposing revisions to the plan that neither side had asked for. Haikala wrote last year that even though "race was the motivating factor" for many Gardendale parents, she was driven by what she characterized as fairness to other Gardendale parents "who support a municipal separation for reasons that have nothing to do with race." Gardendale officials have said they were seeking better access to funding and more control over the schools' curricula. But in a decision written by Circuit Judge Bill Pryor — a Republican former state attorney general who NBC News reported was on President Donald Trump's short list to succeed the late Supreme Court Justice Antonin Scalia last year — the appeals panel said that wasn't good enough and ordered Haikala to deny the motion to secede. "The desire for local autonomy must yield when a constitutional violation is found and remains unremedied," the court ruled. Gardendale Mayor Stan Hogeland told NBC affiliate WVTM of Birmingham that he was disappointed and confused by the ruling and that he didn't know what the town's next step would be. Sam Spital, litigation director of the NAACP Legal Defense and Educational Fund, which helped bring the appeal of Haikala's ruling, said in a statement that the ruling Tuesday was "the only logical conclusion following a district court's direct acknowledgment that racial discrimination was a motivating factor in the City's plans to secede." 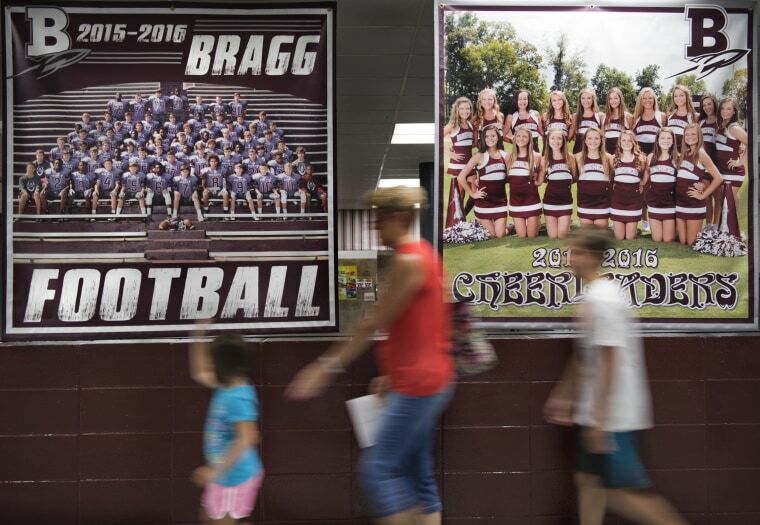 Gardendale's attempted secession drew national attention to the previously little-remarked-upon phenomenon of local jurisdictions' withdrawing their schools from larger school systems to start their own. Last June, EdBuild, a nonprofit education reform research organization funded by, among others, the Bill and Melinda Gates Foundation, found that at least 71 communities nationwide have tried to secede from their school districts since 2000 — and that 47 of them succeeded. "The immediate effect of this kind of segregation on today's classrooms is clear," EdBuild concluded, saying it "splits students along racial and class lines, cementing social divisions in a way that can only beget further segregation attempts in the future."